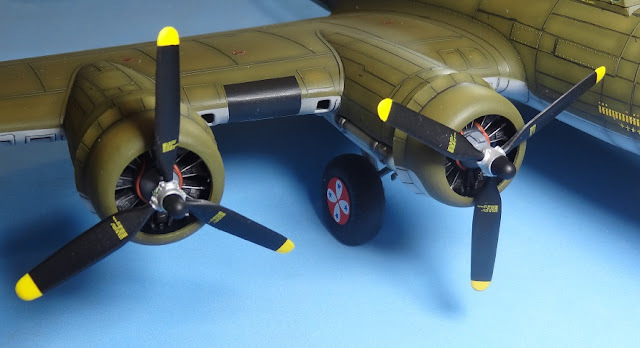 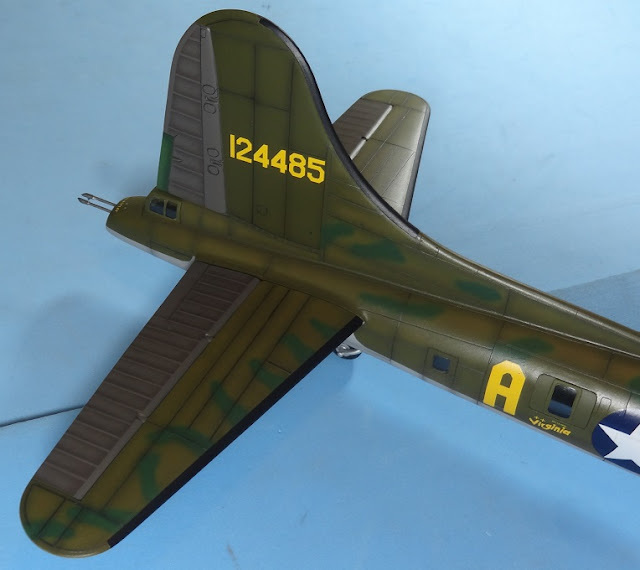 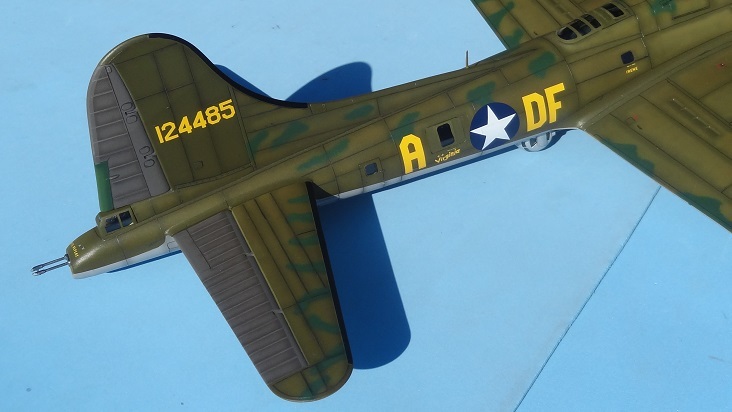 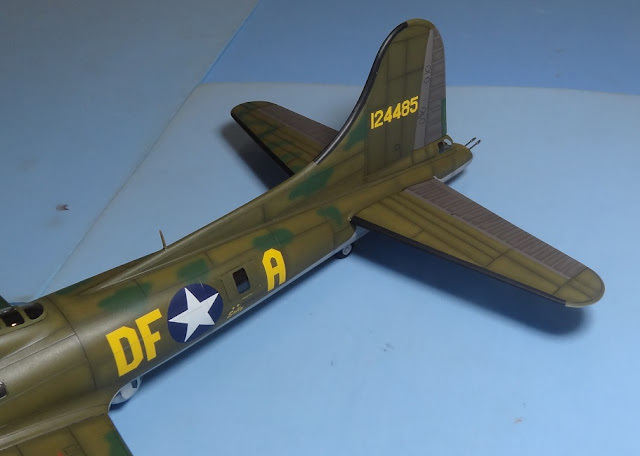 Plastic Models on the Internet: Military aircraft vol.81: Boeing B-17F Flying Fortress " Memphis Belle"
Military aircraft vol.81: Boeing B-17F Flying Fortress " Memphis Belle"
As i said before, this kit has a special place in my heart. It was my first 1/48 scale model ever back in 1982, when i started modelling. 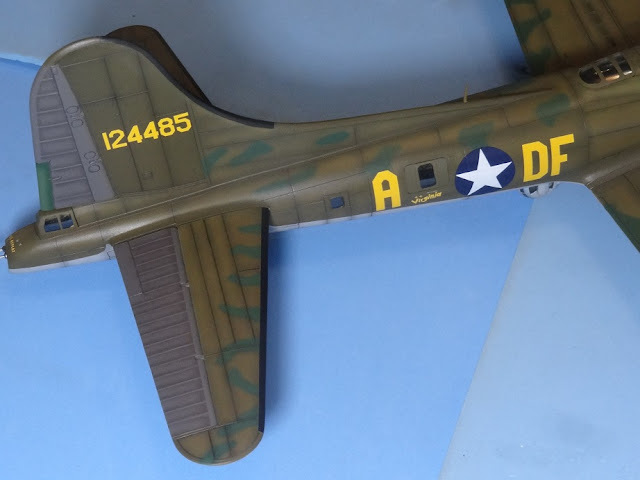 By that time, it was impressive. 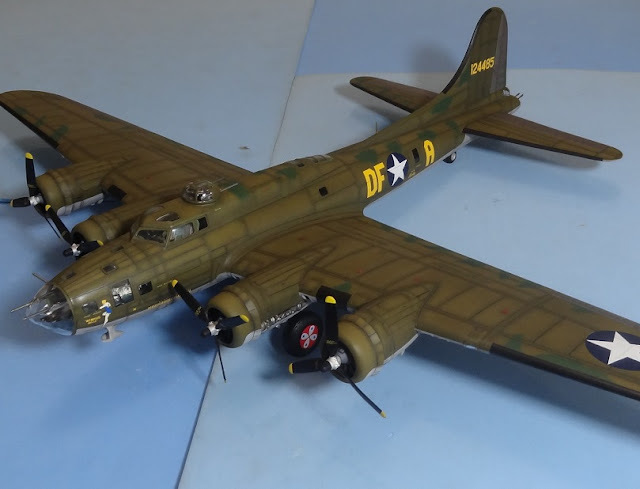 The size of a B-17 in 1/48 is huge and detail was very nice considering what we could get in the Brazilian model market back in the 80's. 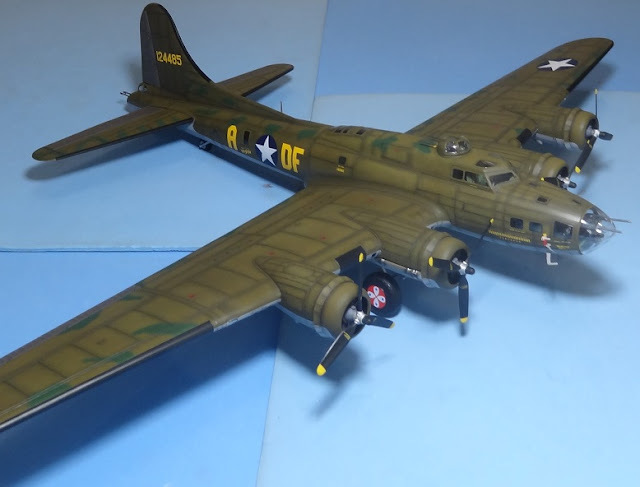 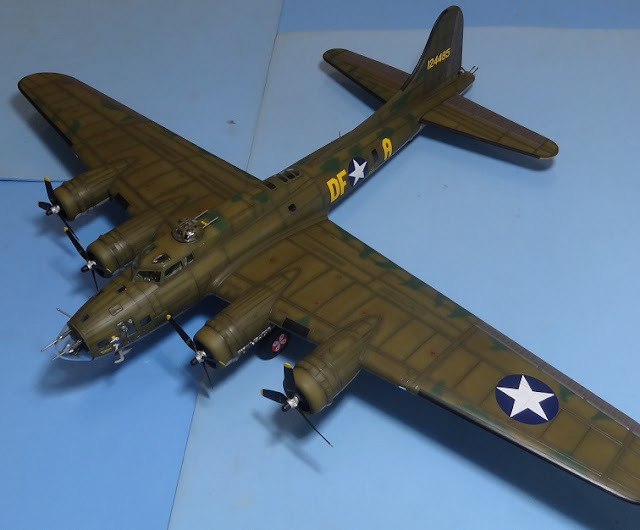 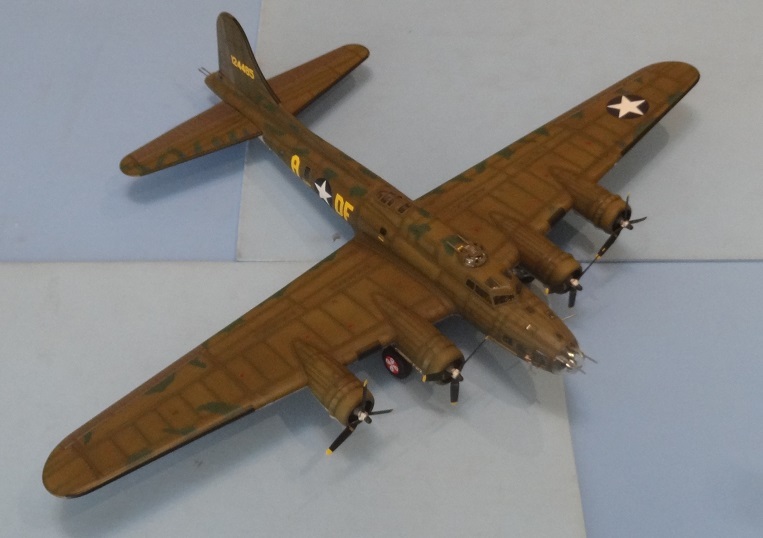 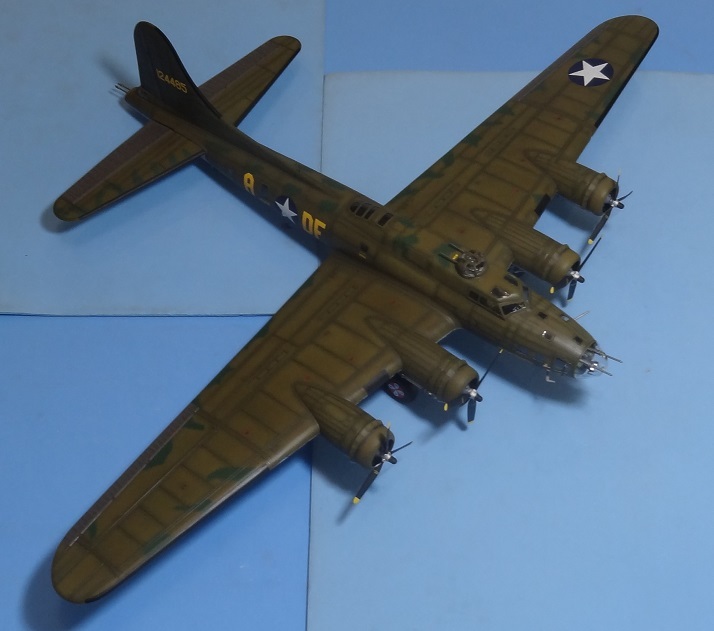 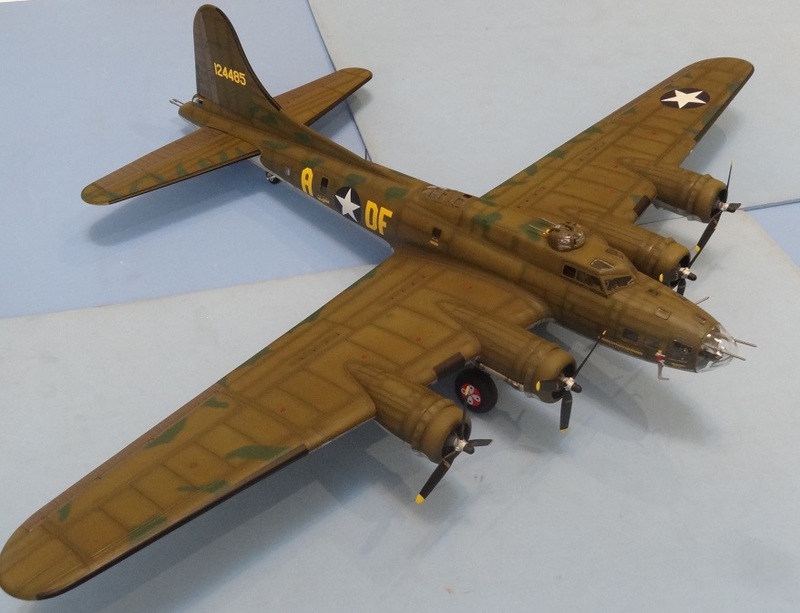 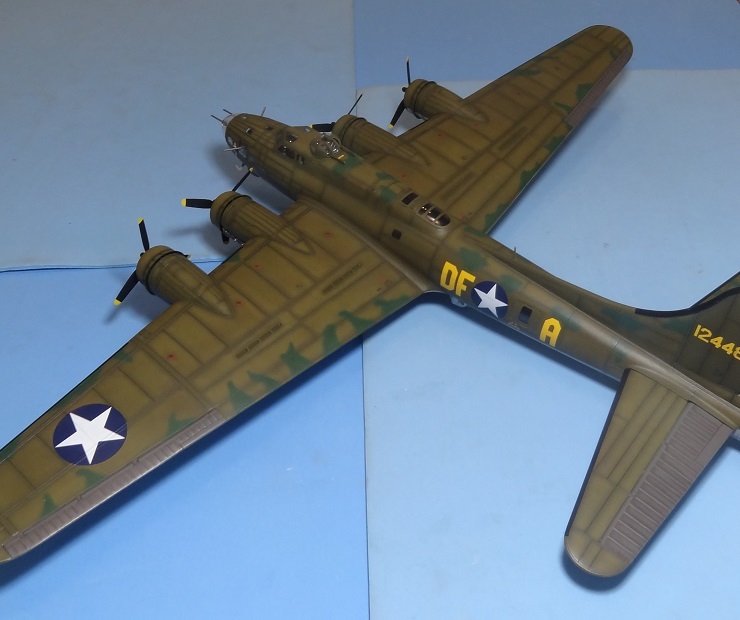 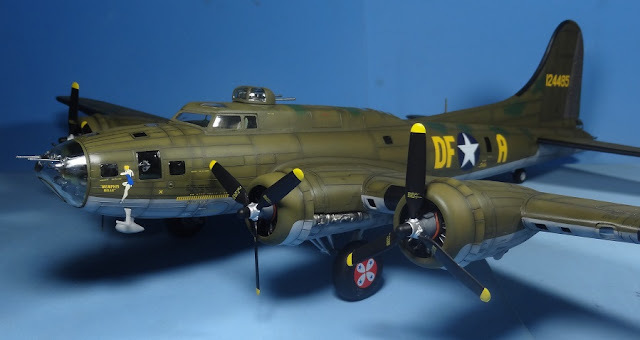 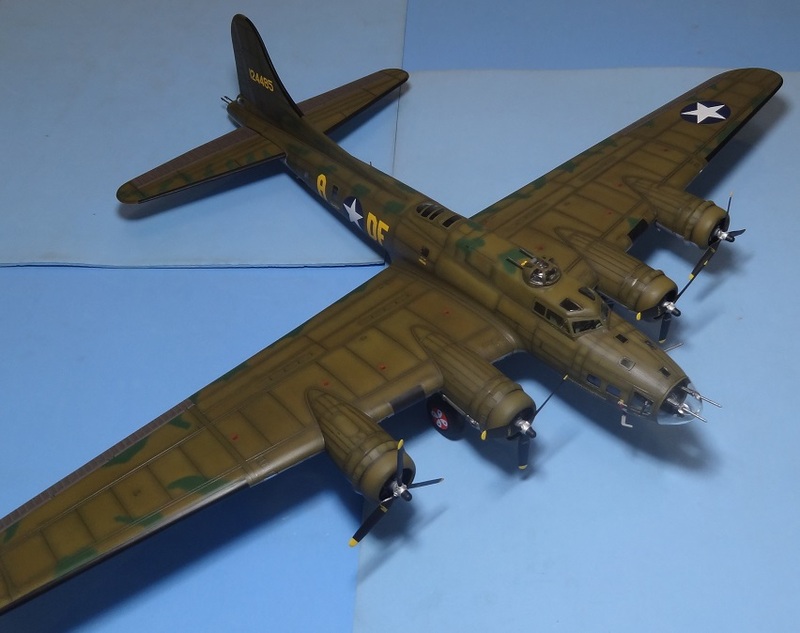 My original B-17 is long gone now, but recently i saw this kit in our local hobby shop and decided to revisit the subject with a new perspective: more model construction knowledge. 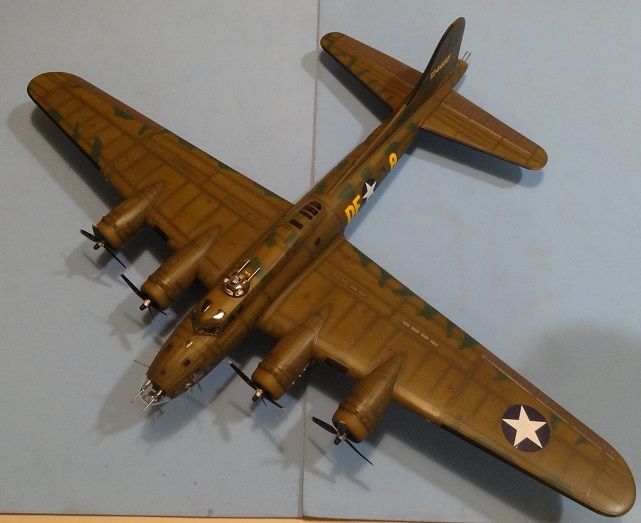 Overall, what you get in the box is less then you would expect from a 1/48 scale four engine bomber considering model technology from today. 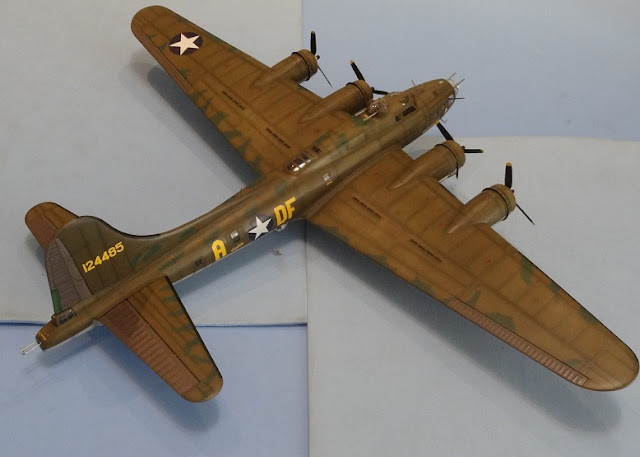 I tried to do my best, saving most of my efforts on the finishing colors. 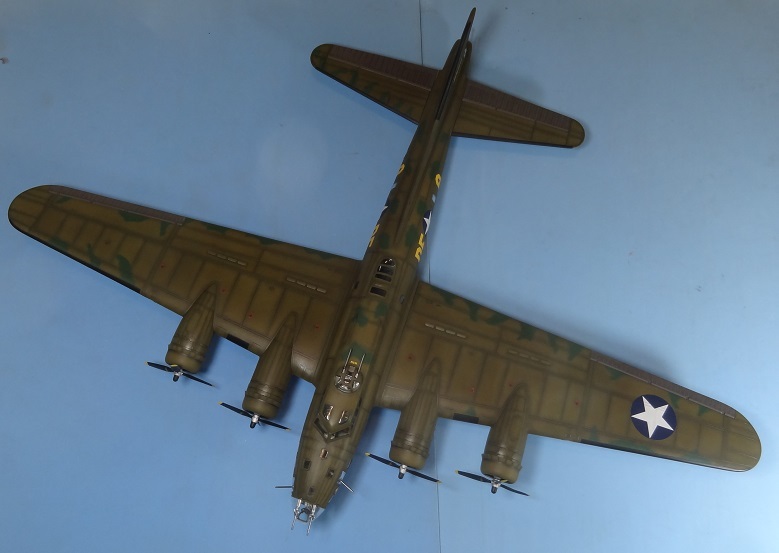 The real plane was a fortress, and there is nothing that could be seen from the inside anyway. 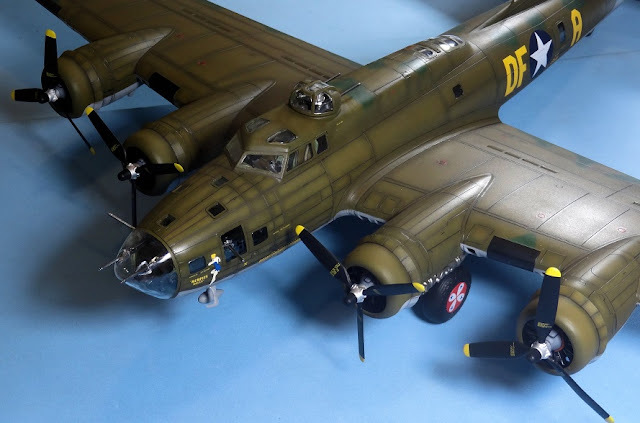 Overall fit is ok. The most difficult task was the wing to fuselage assembling. 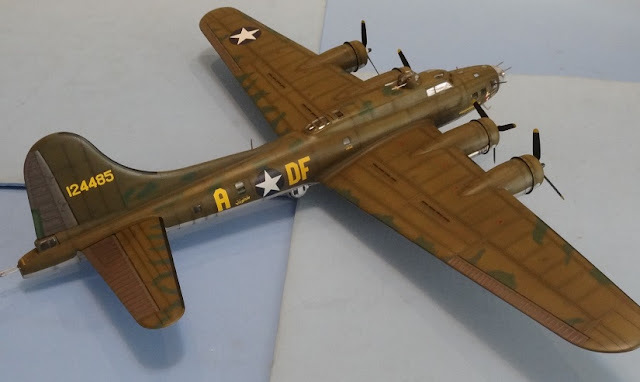 The weathering technique i used will be presented in an individual article soon. 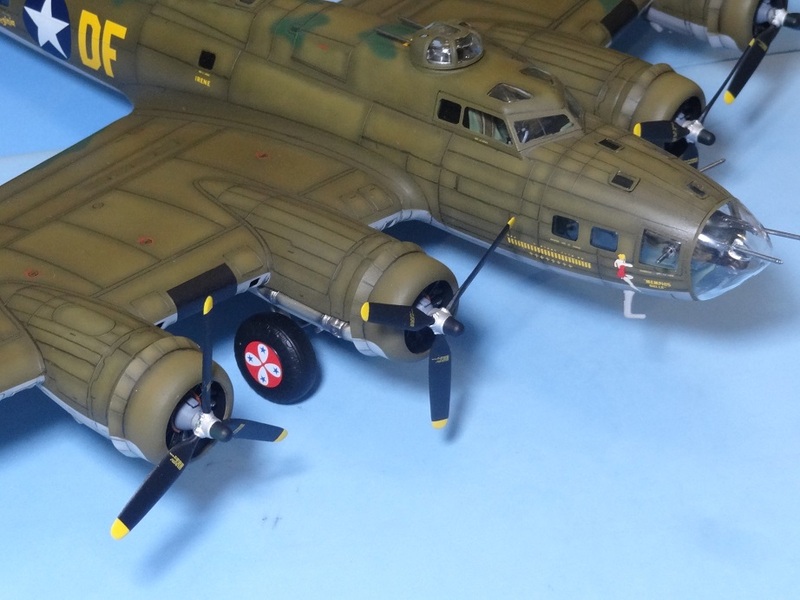 So if you like it, stay tuned.